Here's how it works... the more blogs you hop to (shown below) the more chance you have of winning prizes. Each site on the hop is offering a prize and Evernight is offering an iPad 2 as the grand prize! To be in with a chance of winning the site prize simply follow the blog you're visiting and leave a comment which includes your email address. Each entry on each blog is then counted towards the grand prize draw. The more entries you have, the better your chance of winning that iPad 2! 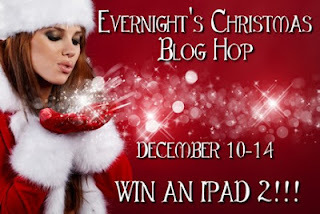 You also get extra points for liking the Evernight Facebook page http://www.facebook.com/#!/evernightpublishing. Just make sure you let us know in the comments that you've done so. Now if you're in the mood for some holiday delight make sure you leave a comment below for a chance to get your hands on my newest release!! When Sheriff Nick Grey is talked into playing Santa at the local mall by his devious sister, he fully expects to have a miserable time. What he doesn’t know is that she has convinced Peter DeKell to play one of his elves. Peter’s the town’s librarian and has been the object of Nick’s affection since they were both children. The only problem is that while the entire town knows that the Sheriff is head over heels for the quiet librarian, Peter seems at best oblivious and at worst not interested. After being faced with the temptation of Peter in tights, Nick finally breaks down and asks Peter to dinner and is elated when he accepts. When disaster strikes in the form of an ill-timed kiss, Nick has to make a choice. Is he willing to finally give up on being with Peter? Or will the lawman fight for his librarian’s affections? I'm so excited about the blog hop! Good luck to everyone, and hooray for Evernight! I hope I win the iPad2 so that I can turn around and give it away to a lucky, loyal Evernight reader. Cheers! P.S. 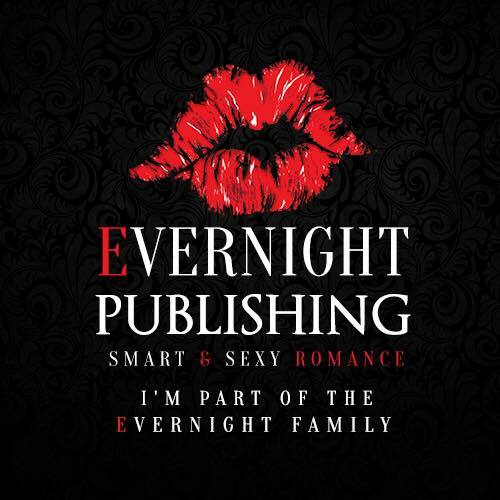 Of course I've already liked the Evernight FB page, and I've joined your blog! Excited to be joining in with this!!! 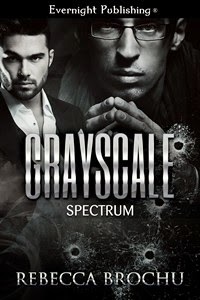 I love blog hops you find so many authors and great books!! I do like blog hopping. Thanks. I follow on GFC. I also liked evernight on facebook. Thanks for the chance to win! I’ve liked the Evernight facebook page. Thanks to the awesome blog hop from Evernight I'm learning about alot of new authors. My reading list is getting longer and longer.. Thanks for an awesome contest. Followed you on GFC and *like* Evernight on FB. Thanks for the chance to win. Wow that was so Hot... thanks for the excerpt... look forward to getting the book. Loving this blog hop and giveaways. I have 'liked' your FB page as well as Evernight FB page. Have also tweeted and shared this event. Thanks for having a contest and participating in the blog hop!!! I like EN on FB. Oh yeah, I really want this book "fanning frantically". Thanks for the awesome giveaway! Happy Holidays! I am following your blog and like Evernight on FB! I like Evernight on FB as smknmom Roberta Cash Horn. I follow you on GFC as Roberta. I "liked" evernight on facebook. I love this hop! I follow Evernight via Twitter and 'liked' on FB. I'm a huge fan of Evernight and its publishers! I like the Evernight FB page. Thank you for the giveaway, liked and followed via GFC (Chrystina Williams). Would love to win this. I follow you via GFC as Joder and Like Evernight on FB as Jody Faltys. Happy Holidays to all and thanks for being part of such an awesome Blog Hop! This is a very fun hop. I'm having a blast. A lot of new to me authors and that mean a lot of books for me!! I "liked" Evernight's fan page. New Release!! The Lawman's Librarian! Put some Kink in your Christmas!